There have been many developments in water application solutions for domestic gardens, turf and open space management, and at the Australian Irrigation Exhibition all the new products and technology will be on show. 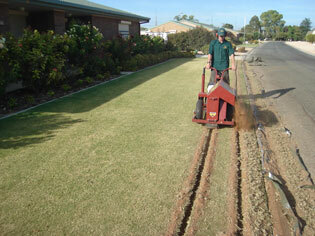 The Australian Irrigation Conference and Exhibition will cater for landscapers and open space and turf managers. 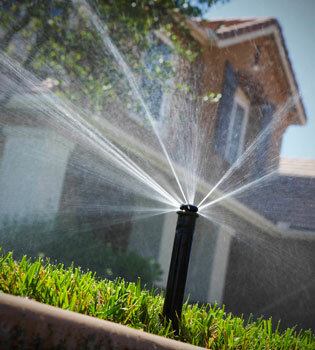 There have been many developments in water application solutions for domestic gardens, turf and open space management over the past two years. At the Australian Irrigation Exhibition in Sydney, June 8 – 10, all the new products and technology will be on show under the one roof. The Australian Irrigation Conference & Exhibition, the largest event of its kind in the southern hemisphere, is a must visit destination. Every two years IAL’s National Conference & Exhibition brings the entire irrigation industry together, mixing irrigators, suppliers, equipment manufacturers, researchers, water supply organisations, consultants, advisors and policy makers from both the rural and urban industries. The two separate events run concurrently and over 500 people attend the conference, while more than 3,500 people are expected to visit the 2010 Exhibition. The Conference theme One Water Many Futures will look to the future of irrigation and its role in food and fibre production, in our lifestyles and in its interaction with the environment as the irrigation industry undergoes a transformation in policy and practice. Renowned international and local speakers will challenge and stimulate conference attendees with cutting edge information from research, practice, policy and project updates across numerous themes. Conference sessions covering topics on urban irrigation, alternative water sources, managing environmental water and competing water demands in peri-urban areas will cater most directly for urban irrigators, but a host of topics in other streams will also be directly relevant. A presentation on IrrigationSmart, a pilot program in the ACT to improve automatic, programmable irrigation systems through re-programming to account for seasonality, plus direct improvements such as fixing leaks and supporting behaviour change initiatives will be of interest to installers of domestic garden irrigation systems. A long period of drought and water restrictions provided the impetus for Geelong Council to review the way in which water was used to maintain its 150 hectares of sporting grounds and parks and gardens. A presentation on the introduction of state of the art technology, and a water management philosophy to ensure that irrigation was carried out in the most responsible and efficient method possible will be of interest to open space managers. But you don’t have to attend the Conference to benefit from this event. The Exhibition is a must visit destination. You don’t have to be a conference attendee to visit the Irrigation Exhibition. It’s open to all, free, and will feature over 100 companies from Australia and overseas showcasing a vast range of irrigation equipment, technology and knowledge. The latest products and solutions will be displayed and staff at the stands will be there to discuss your irrigation and water management needs. At the last IAL Exhibition, in Melbourne in 2008, the growing sophistication of the irrigation industry was apparent in the quality of the stands and exhibits and the hi-tech nature of the equipment being displayed and sold. Visitors commented on the variety of products and services on display, and said that they were able to find new products they hadn’t seen elsewhere. Visitors to the Exhibition can also register in advance for a number of 2-hour workshops. Two of these are directly designed for turf managers. Getting the best playing surface possible will address how to get the best surface with the available resource, with a focus on irrigation management. The workshop on alternative water sources for sports fields and parks will involve a presenter from Ku-ring-gai Municipal Council which has been one of the most proactive Councils on water harvesting and sustainability within the greater Sydney basin, with experience from the very simple through to stormwater harvesting and a sewer mining golf project. The Expo is a fantastic opportunity for NSW and interstate landscapers, turf managers, parks & gardens staff, and sports field and golf course managers to find solutions to their irrigation and water management problems. Visit www.irrigationaustralia.com.au for the Conference program, registration brochure and workshops & more information. Images: Residential irrigation - All the latest products and technology for residential irrigation systems will be on display at the Exhibition. Photo supplied by Hunter Industries. Trencher – The new TRENCH’N edge Trencher from the U.S., designed specifically for the installation of subsurface drip irrigation systems, can be seen at the Exhibition. Photo supplied by Berri Native Plants.